The Mindful Healing Center is a professional, serene space created to meet the needs of patients struggling with mental health disorders, substance abuse, or other compulsive behaviors. The Mindful Healing Center provides a peaceful, professional environment where patients can seek a sense of comfort through the recovery process. Our office provides Transcranial Magnetic Stimulation, a cutting edge, evidence-based, FDA approved procedure for treatment-resistant depression. We hope to have the honor and privilege of assisting you or your loved ones. Transcranial Magnetic Stimulation offers hope to those patients who have suffered from severe symptoms of depression, and have either not responded adequately to medication. 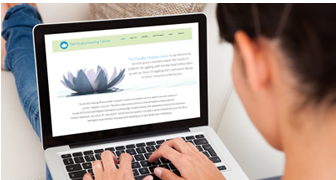 The Mindful Healing Center is located in Newport Beach. The office provides a peaceful, serene environment where a patient can seek a sense of comfort, relaxation, and calm. Dr. Vasa recently published her first children’s book, entitled, “My Dearest One.” This is the first in a series of children’s books intended to foster a dialogue between parents and children.